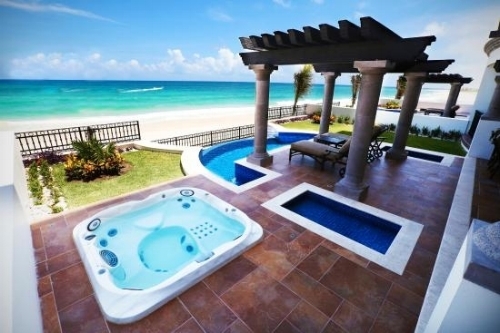 Many folks think of Cancun as a Spring Break-type destination, with it's all-inclusive resorts and flashy nightclubs. Despite that reputation, Cancun proves to be a wonderful beach vacation option for young parents looking for sand, beautiful turquoise waters and some relaxation. 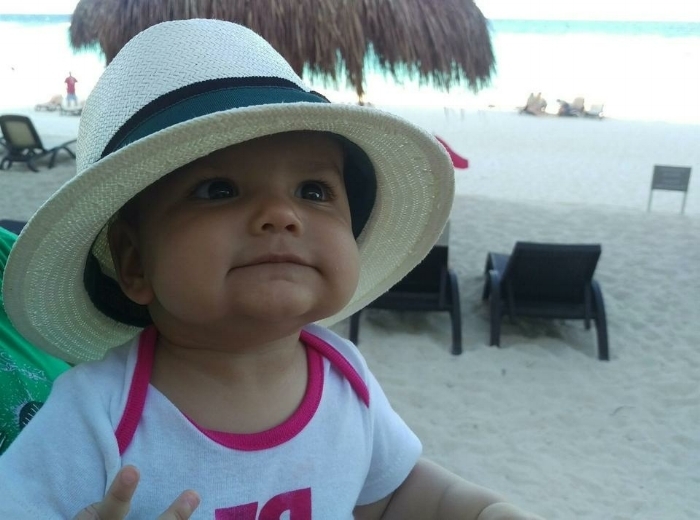 Here's what makes Cancun an appealing option for families vacationing with a baby or toddler. Plenty of Direct Flights. Since Cancun is a popular resort destination, there are a number of inexpensive direct flights from throughout the US and Canada. Many cities have multiple flights daily to Cancun, which means that you can find the flight that best fits your little one's sleep schedules. We booked direct flights from NYC to Cancun that aligned with our daughter's nap times for $364 USD per person during high season. A short drive from the airport to resorts (on well paved highways). The drive from the airport to our hotel in the Cancun hotel zone was only 12 minutes. Whether staying at the Hotel Zone in Cancun, Playa del Carmen or Puerto Morelos, there are plenty of resorts within a 45 minute ride of the airport. Cancun's eastern time zone means that east coasters don't need to readjust their little ones' sleep schedules, which in turn means no dealing with cranky babies or toddlers with jet lag. Top notch resorts with necessary amenities for babies and toddlers. Cancun has plenty of reputable and well-known hotel chains, with all of the creature comforts that will make your little creature comfortable. While some resorts definitely have a party vibe, others are intimate and low-key. Near perfect weather throughout the winter. Daytime temperatures are in the low 80s Fahrenheit (approximately 28 Celsius) from November-April, and if there is a rain shower, it never lasts long. Cancun can be humid, though. The humidity isn't unbearable in the winter, since the temperatures are warm but not overly hot. However, it is best to rent accommodations with a balcony or terrace, to dry wet bathing suits and get some airflow into the hotel room - otherwise, rooms can feel damp and musty. Hurricane season falls between June and mid-October, and the mercury rises in the summer, so Cancun is best experienced in the winter, especially with little ones. Stunning beaches with white sands and turquoise waters await you in Cancun. According to locals, the beaches around Playa del Carmen are a bit more rocky, making entering the water trickier with a little one. My family found the beaches in Cancun's Hotel Zone to be free of rocks, though the waves could sometimes get too strong for safe swimming. Despite it's many redeeming qualities, Cancun does have its quirks, and can occasionally be challenging to navigate for an American or Canadian that is used to orderly lines, clear rules, and fair, transparent exchange of cash for goods and services. Be sure to read our blog post on Tips for Navigating Cancun to ensure you have a smooth, stress-free trip!